MEDIUM - Silent Tracker SET - portable set for small crews or “one man band” shooters, designed for bigger professional cameras (up to 20kg/44lbs). Despite it’s robustness it’s still compact, lightweight and easy to carry. 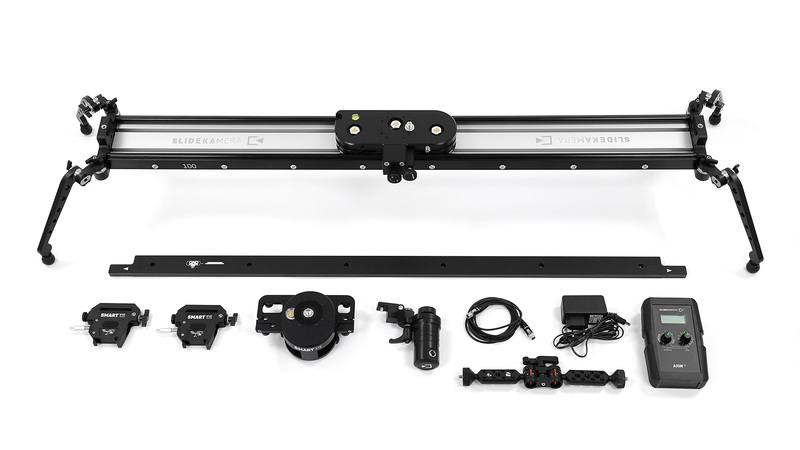 The SMART EYE - Manual Tracking System gives you an easy way to prepare tracking shots. The HDN DC PRO drive is very silent and is irreplaceable when the sound recording is crucial.